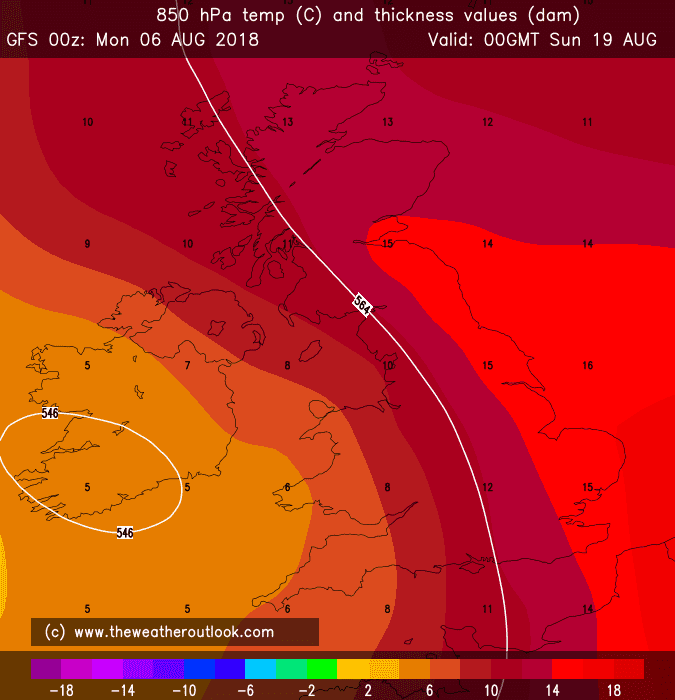 GFS rainfall for the next 10 days - ranging from very wet (100mm+ in parts of the NW) to drier in the south. 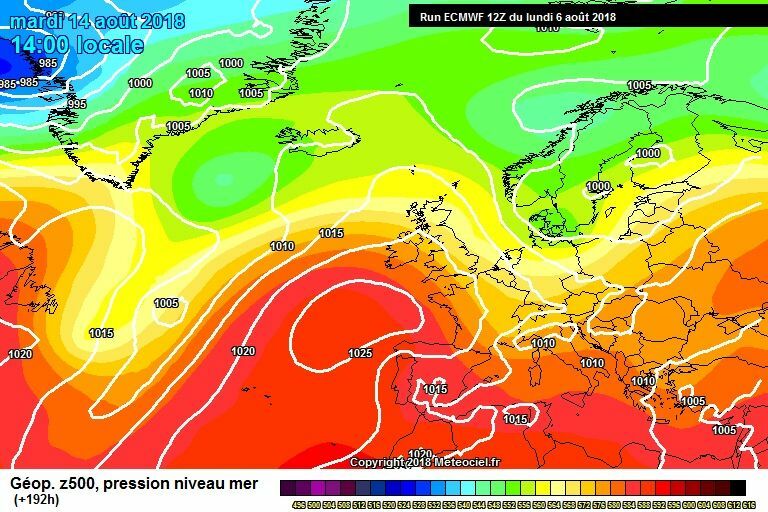 Some appreciable rain looks like falling in most parts of the UK, which will obviously help massively with the Saharan summer we've had this year. 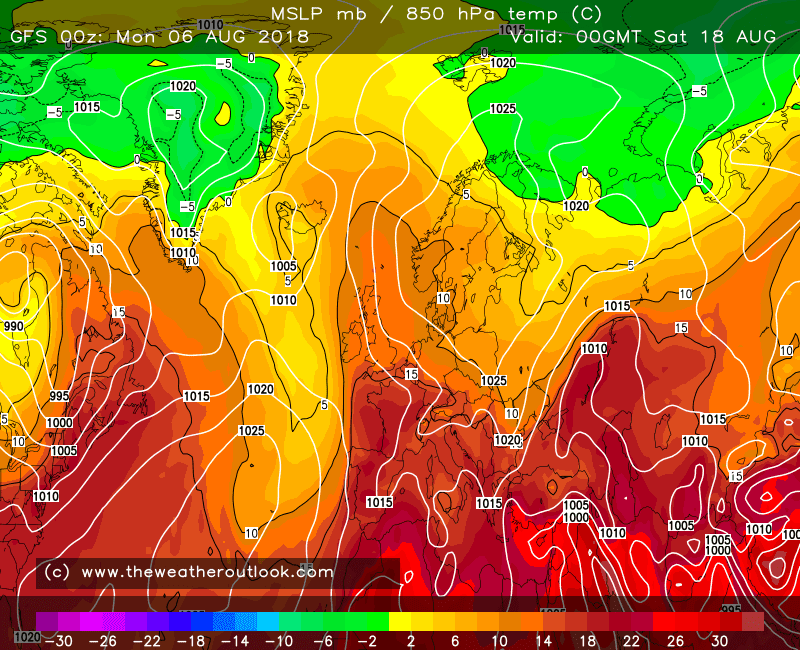 Euro and GFS in agreement out to a week..
Slightly wetter and cooler interlude for a few days - after which the general trend is warmer and drier again, with the ppn spikes tending to disappear, and the mean climbing back above the average by the 15th, and sitting at 10c by the end of the run. This thread is just for model output discussion, thanks! Sorry for that, i will refrain in future, and make an effort to post in the appropriate threads. 17mm here on that chart, that's a low amount of rainfall considering we'll be halfway through the month by that point. If we got 17mm in the second half then that would be 34mm, very much below average (our August average is 58mm). 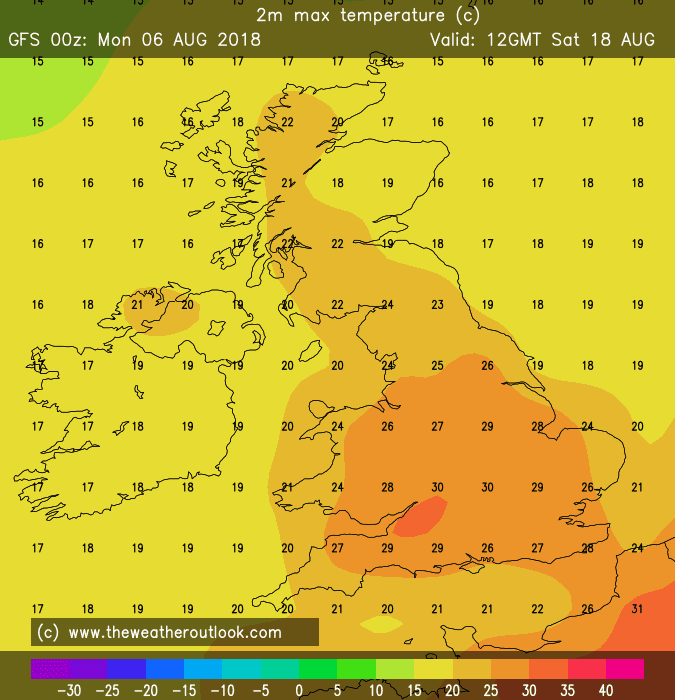 Of course, we could get 100mm in the second half of the month for all we know, but I'd say a fourth successive drier than average month looks more likely than not (though obviously not to the extent of June), at least for most of England. 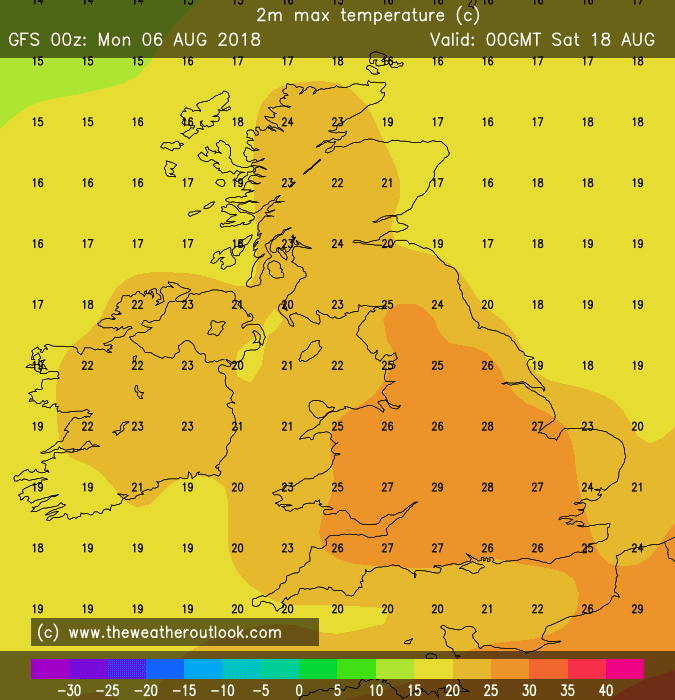 Just a shame that the weekend is looking grim - even if you're a heat hater, you have to admit that a washout weekend at this time of year is just dreadful. No low pressure dominated clusters at all. 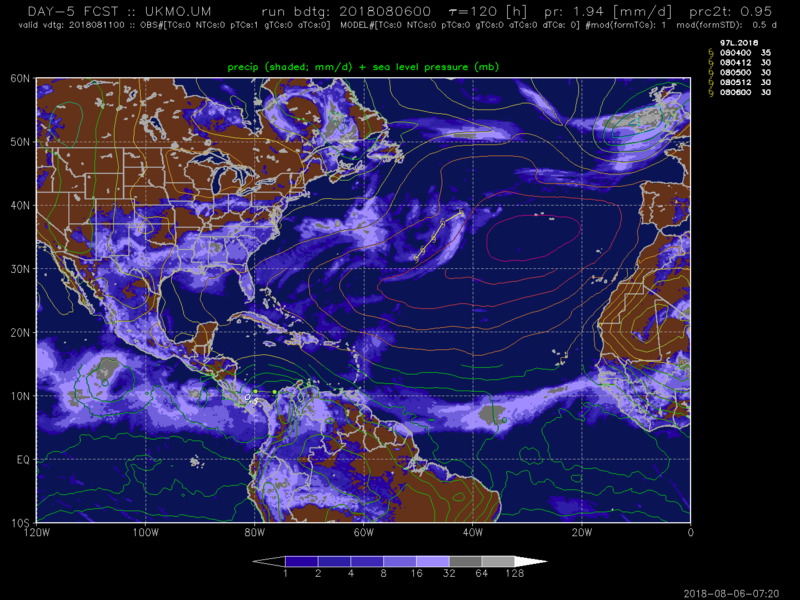 The Atlantic onslaught doesn't look like happening just yet. 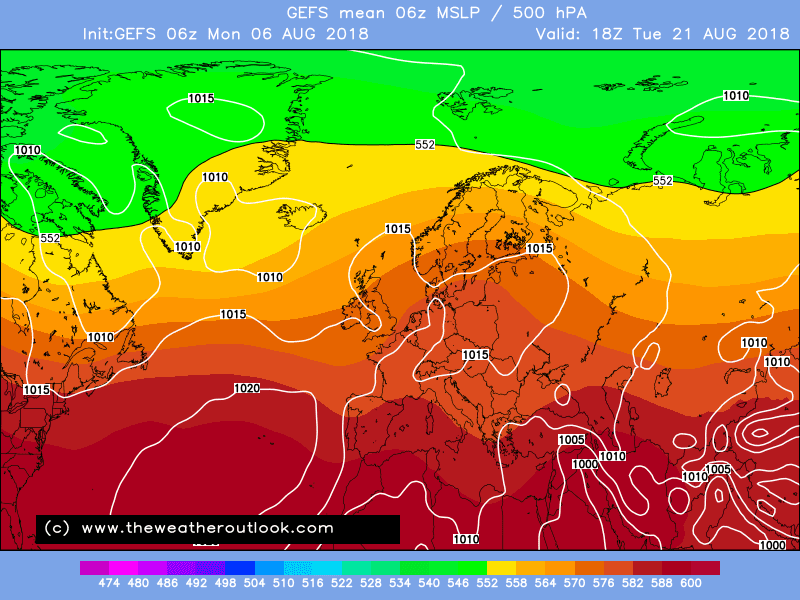 Following a spell of cooler changeable / unsettled weather nationwide the Ecm 00z ensemble mean indicates a gradual return to warmer conditions further south from around mid month with southern areas having some azores ridge influence, ergo, there would be some decent spells of fine weather, especially across southern uk. On a more serious note....where are we with the shift to El Nino and timing of coupling to the atmosphere? 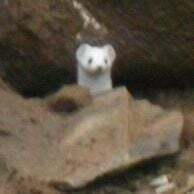 Without back copying my very infrequent posts earlier in the summer my only real interest at the moment has been to ascertain the likelihood of a coupling before summer's end or whether we would need to wait until September. 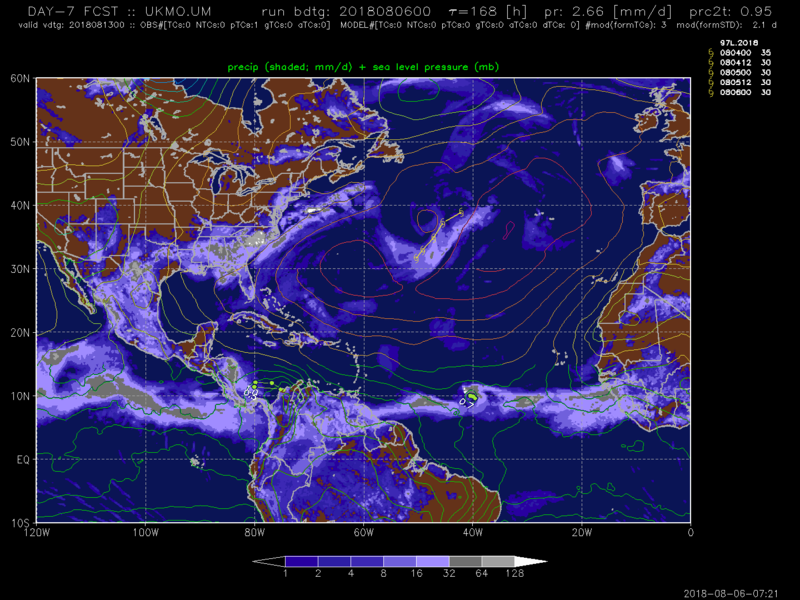 I had a lingering sense that the pacific temperature profile wasnt warm enough to force an atmospheric response yet, and that a slow moving MJO might be too slow to help add a westerly input in the tropical pacific. I mentioned the pattern might, therefore, flatten out through August. Global relative AAM (GLAAM) would appear to be stabilising longer term at around +1 according to these CFS plots. Consistently any dip to 0 or below is being seen as temporary as we work through August. 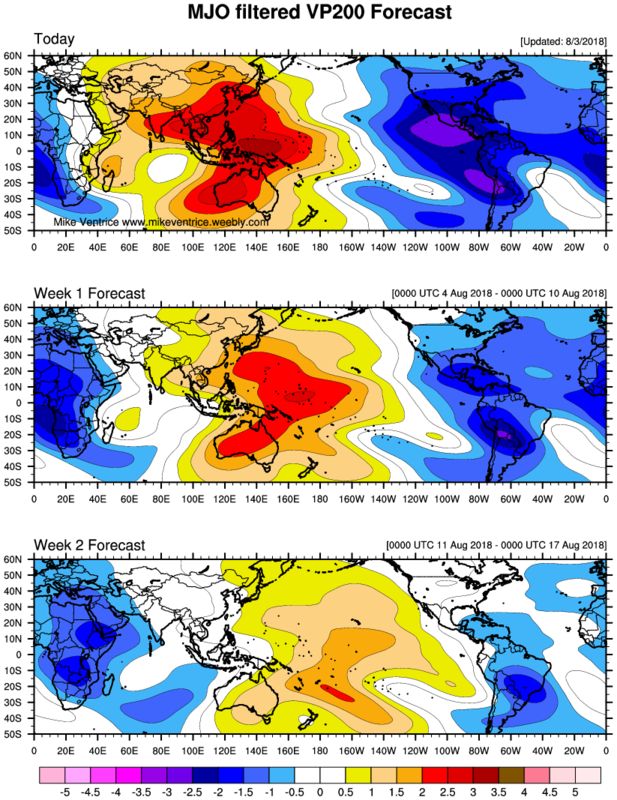 Our current MJO is of reasonable amplitude, and by the end of August has worked its way into the pacific phase 7to add convective westerly anomalies into the mix. Conclusion? The pattern is going to flatten out a bit because we have lost the AAM spike that went from -2 and +2 in short order and forced the meridionality we are now seeing. However if AAM stabilises at +1, the MJO makes progress through sympathetic warm waters and the Nino profile continues to build, then I think we have our Nino coupling before we get to the start of the next school term. It may even be in place now. This would enhance the probability of warm weather returning given the current position of a rebuilding Azores/Bermuda High. However probably not as warm as we have seen because AAM will be purring along rather than spiking. Plus for SON the ENSO signature is about as weak as it gets. - Also whats clearly lacking in the GSDM model is the interaction of the Hadley cell with the polar cell- All the data that comes from the model is driven by the tropics /MJO - yet the biggest rate of change is the pole especially the back end of summer / start of Autumn ..
- So yes 'some' value can be had from the propergation of the MJO wave & any significant 'change' in terms of GLAAM - however if the mode sits within a pretty low amplitude what you going to forecast? 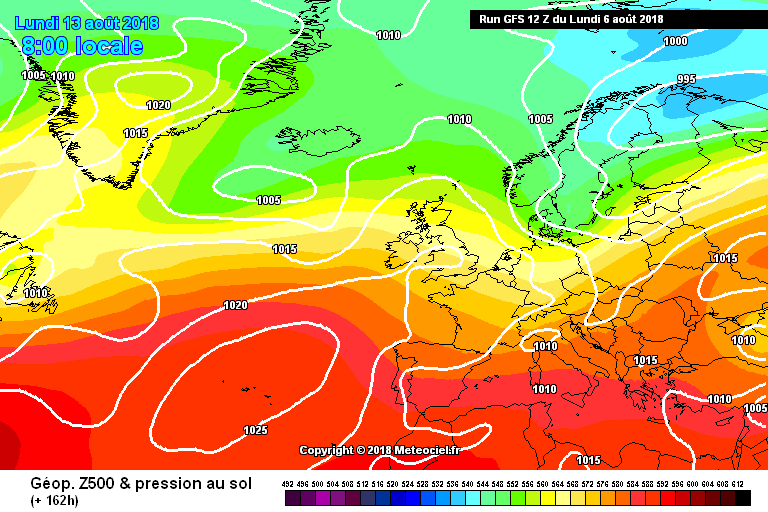 Yes - despite my nerves about the trough not clearing at D9/D10 preventing a good enough height rise to achieve these charts, you have to interpret these charts as summer returning after 15th, maybe 16th (a little delayed then) . Extremely consistent from the clusters. 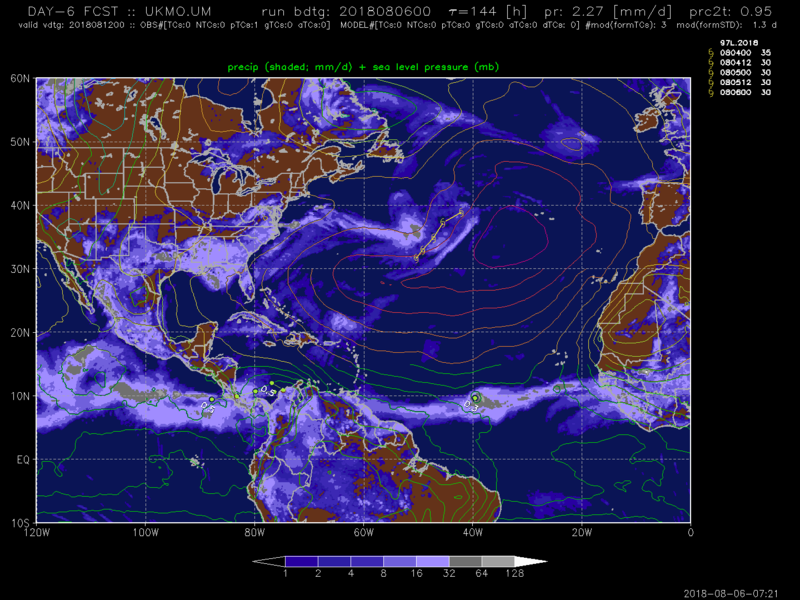 The GSDM allows for anticipation of the general trend in conditions several weeks ahead if you are aware of the modelling bias and limitations. 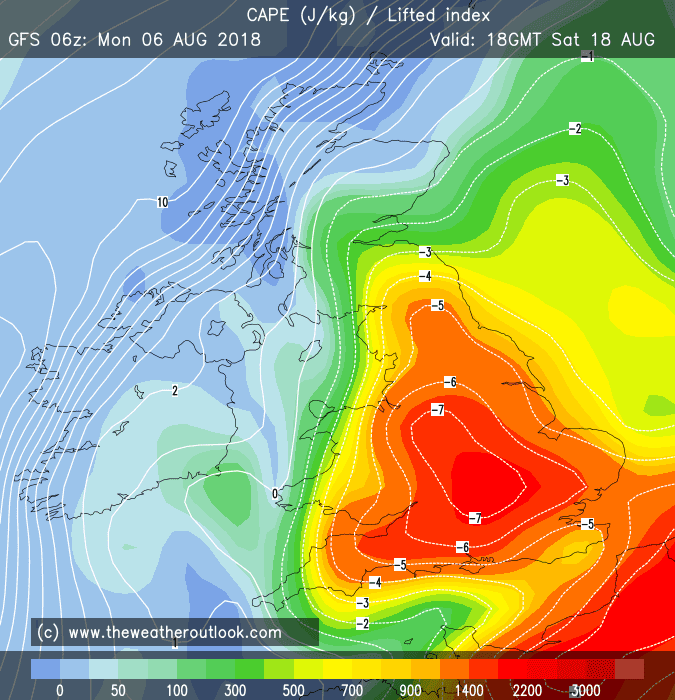 Sure, there's some uncertainty in the timings, but since early in the last week of July I've seen signs that August will feature multiple 'plume-friendly' periods, one of which culminates tomorrow and the next of which is starting to turn up in some modelling for the third week of the month. This Autumn I expect it will continue to serve as useful guidance as to how we'll vary around the overall weaker westerlies that the low Arctic sea ice tends to bring about. 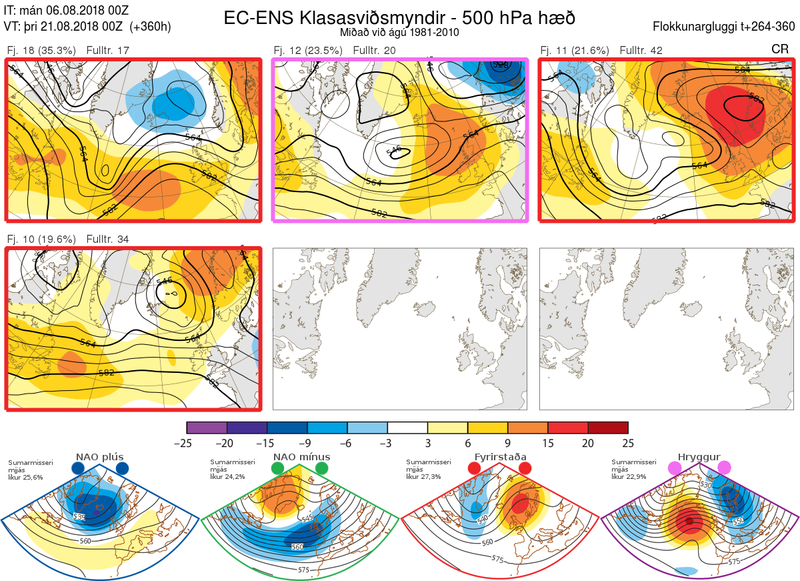 Anyway - I'm finding recent GFS runs to be more believable than those of ECM and to a smaller extent UKMO, as GFS is suppressing the mid-Atlantic ridging more and keep the pattern more mobile from the west, which makes sense given the lack of any Nina-like forcing to support northward ridge-building in that area. Not that it can't happen at all - space between troughs always offers a chance - but a quick flattening back out seems probable based on this method of analysis. 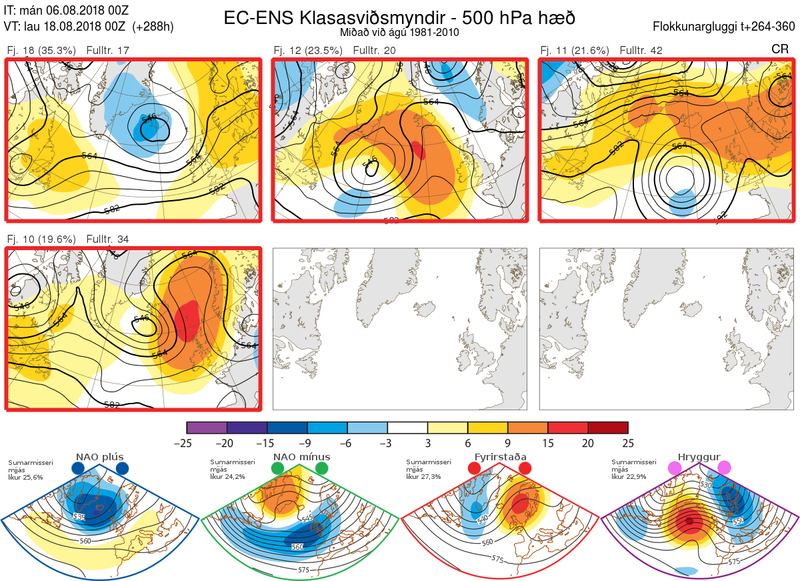 The same approach also indicates that the next deceleration of Atlantic mid-high latitude westerlies with resultant northward ridge building should occur over and east/northeast of the UK, rather than in the mid-Atlantic. Probably by mid month or within a few days of that, much as the models are currently hinting at. In house met office models concur with the publicly available data it seems. A media release today on warmer than average conditions lasting until mid October as the form horse. 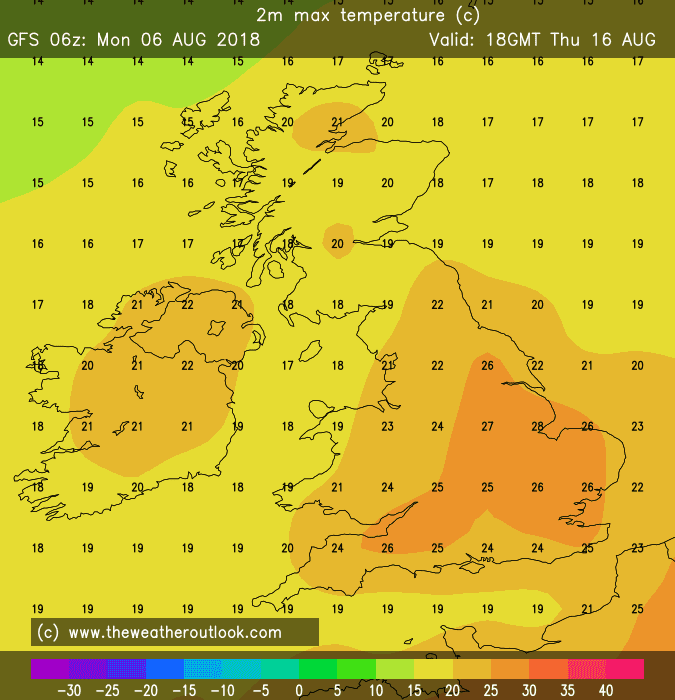 Temperatures in the South always in the low to mid seventies from Wednesday this week ( perhaps a day or two from this weekend where they may drop off if any rain works through. 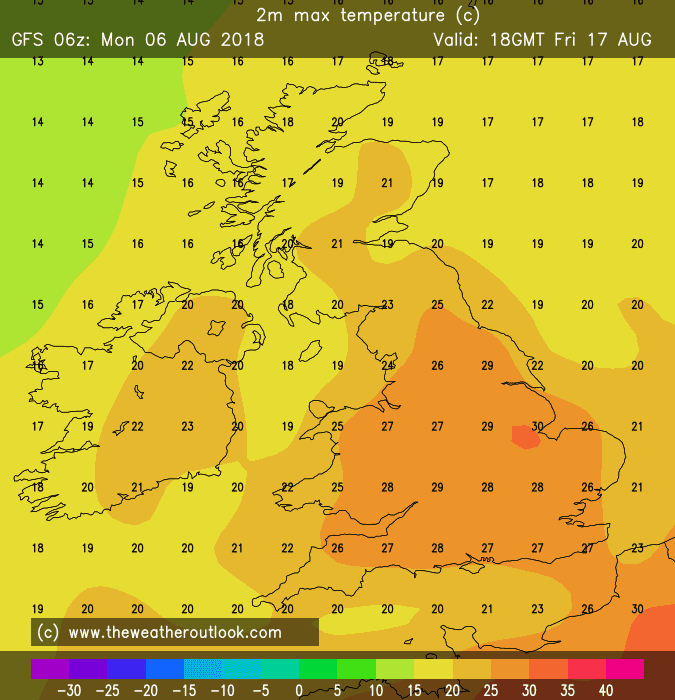 16th onward looking like heatwave conditions will return for some with 30c not out of the question once again. 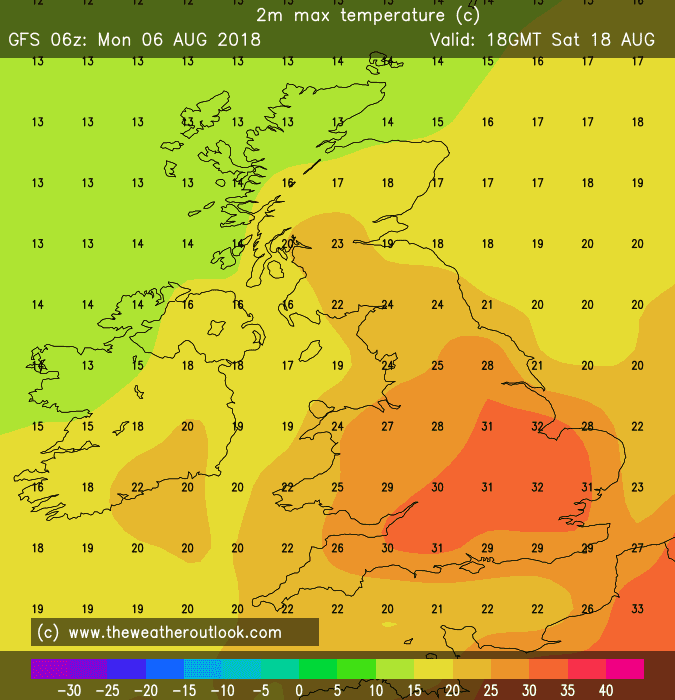 Its not unusual for warm conditions to continue well into Autumn after a hot summer. 1959 is probably the best example but 1995 also had that great October and 2006 was remarkably warm during September and October. 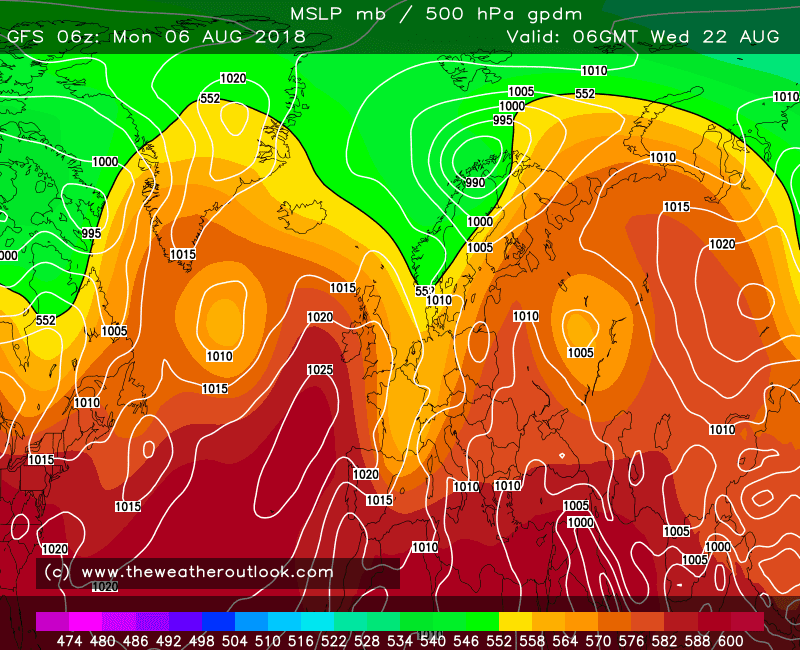 Though any signal for a return to heatwave conditions should be taken with a pinch of salt at the moment, I can see how if an active Atlantic jet emerges over the next week with troughing favoured to our west, it may well allow for pressure to build over Scandinavia again. 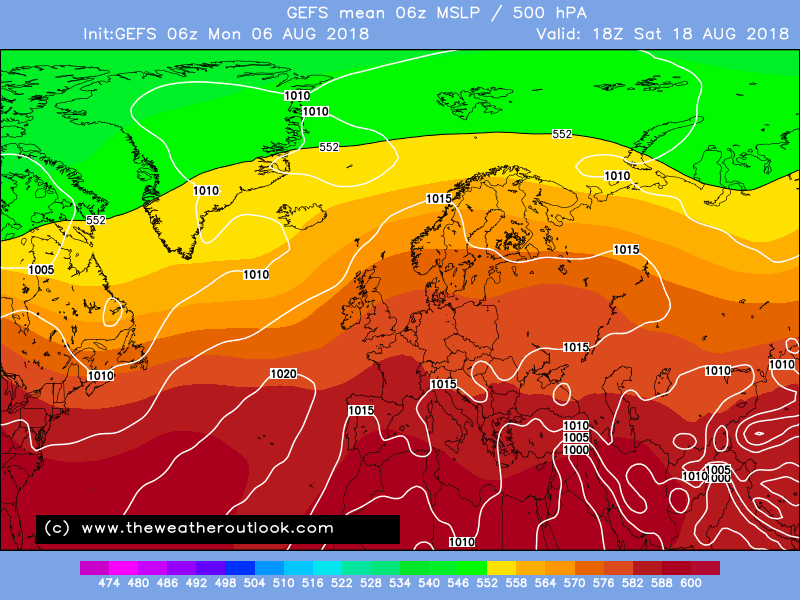 The 06z shows this in 10 days time but expect a bit of chopping and changing over the next few days before a clear signal emerges. Interesting Arctic sea ice was mentioned as this along with Atlantic SST patterns are what really catch my eye. The current arctic sea ice chart is interesting, if not rather depressing. It looks as though extent and volume is really struggling on the Siberian side. 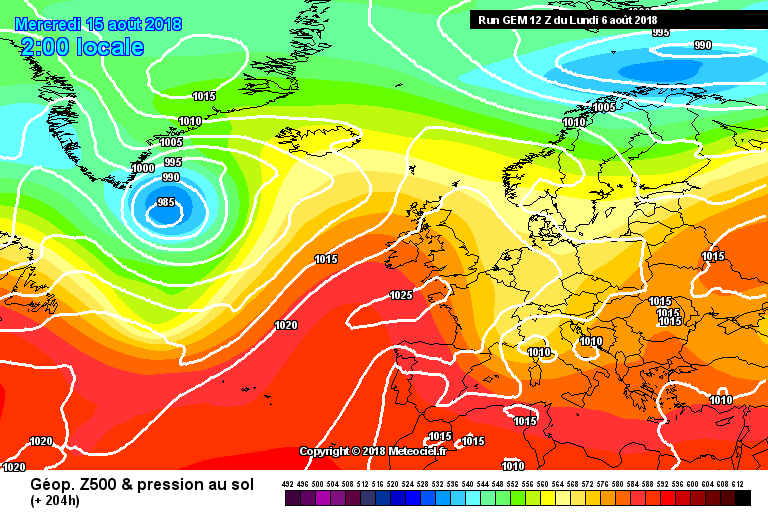 I think a year similar to 2007 or 2012 could be on the cards, both of which had Autumns containing their fair share of northern blocking. If the arctic is much warmer then normal because of low sea ice then it makes sense that the jet may slow down. One of its drivers is the temperature gradient from the mid-latitudes and the arctic which will be reduced. 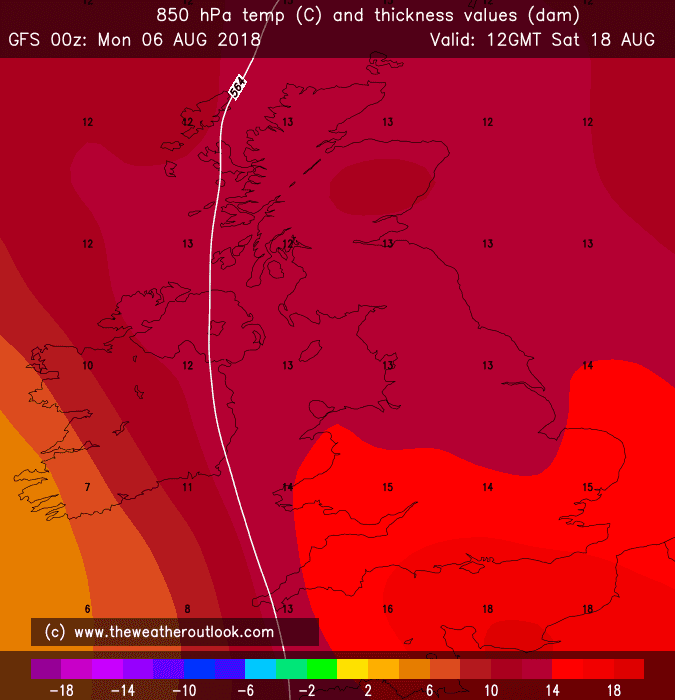 Therefore patterns may get stuck for longer though this ain't a guarantee of heat, if troughing is encouraged over the UK... well that could turn out quite miserable. If it was favoured further west you could see how this may result in more persistent southerlies. 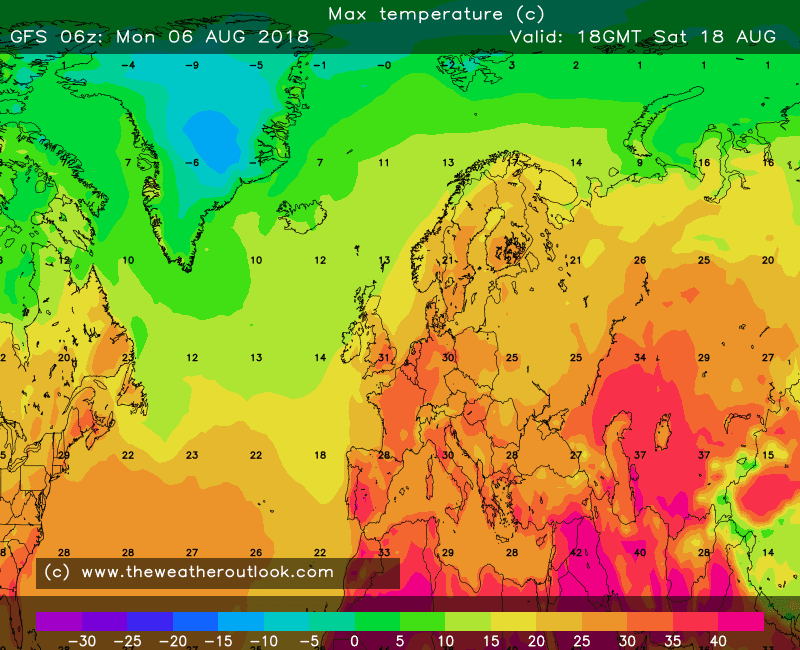 Also bear in mind the Greenland side of the ice sheet looks ok at the moment and if the cold air funnels towards Greenland and out in the North Atlantic this could fuel the temperature gradient that allows Atlantic lows to fire up. So the impacts may be much stronger in the North Pacific. Nothing too dramatic on our shores yet either way. 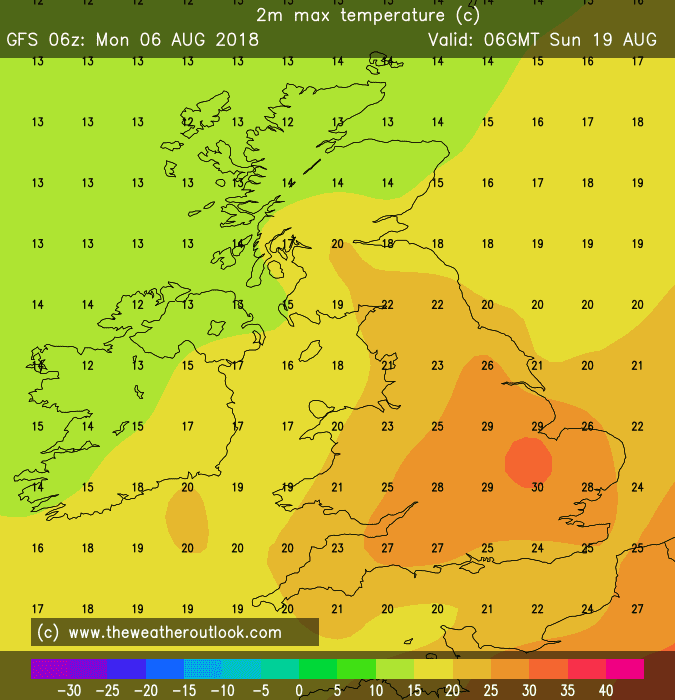 After a hot start to the week a return to more average conditions is likely for the reliable timeframe but summer isn't over yet by any means. Just be careful that if a strong trend appears at T240 it may not come into fruition! 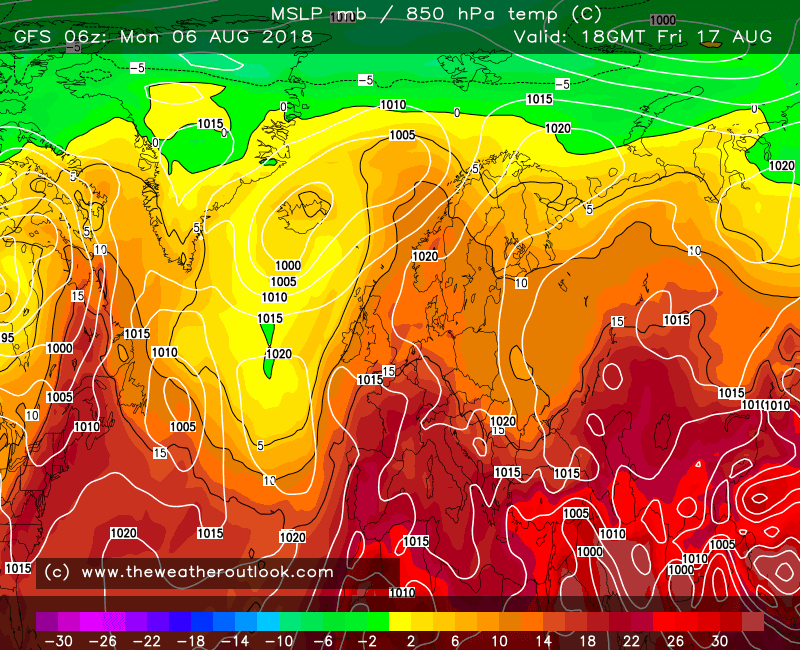 PS with 34C possible in some areas tomorrow, imagine how hot it would of been if we got a direct hit from the plume!??? So near yet so far. 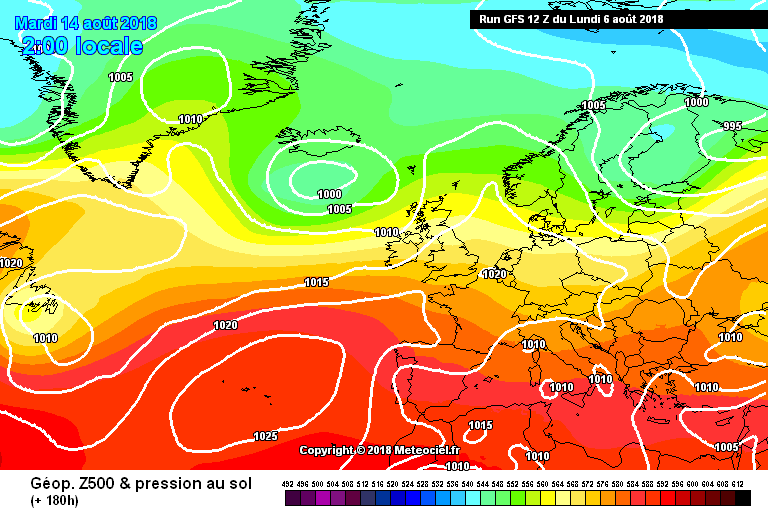 Certainly some good signs from the GEFS 6z mean longer term, at least for england and wales with increasing azores ridging and warmth..the second half of this month could bring plenty more summery weather..especially further south. Looking nice across England and Wales on Tuesday according to the GFS. 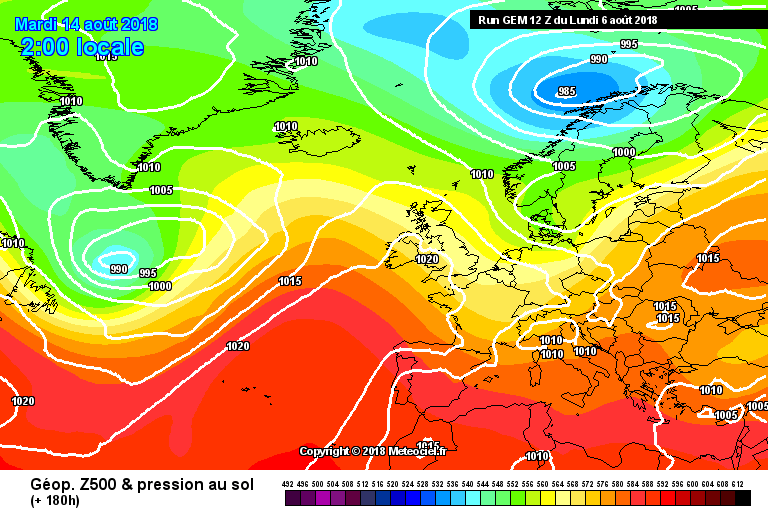 GEM shining a light on the 12z runs. 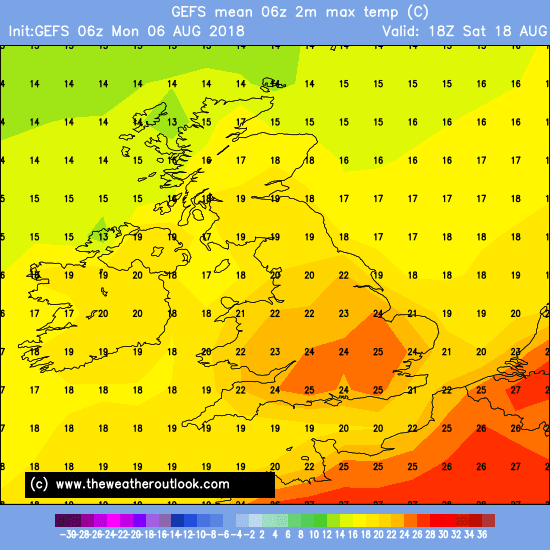 GFS goes south where it didn’t on the 6z, and ukmo we just don’t know. Perhaps looking like day 9/10 is a potential time for a rebuild of pressure, so the next week or so is looking much cooler and more changeable....after this, who knows. 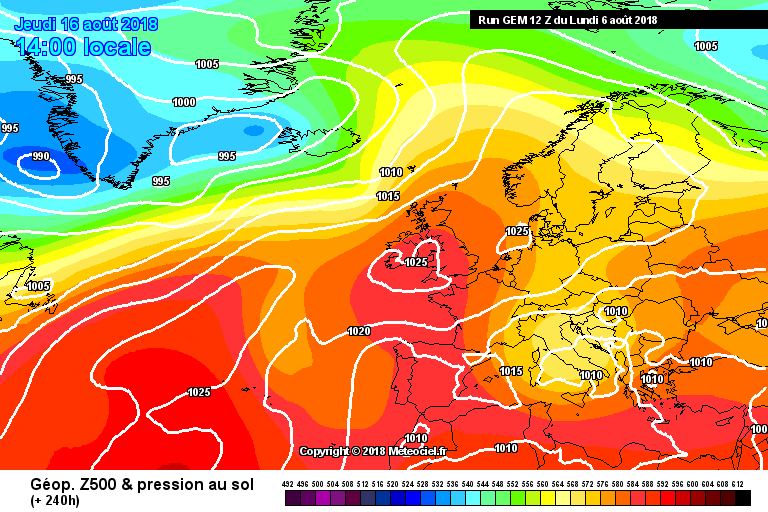 Let’s see what ecm says later. GFS is undone by a cut-off low formation near Newfoundland, a bit of a freak event so to be ignored unless other models start to show it (now I've gone and done it! ha). GEM has a great thrust of high pressure back across the UK early next week, though perhaps a little over-optimistic with the pace of it. 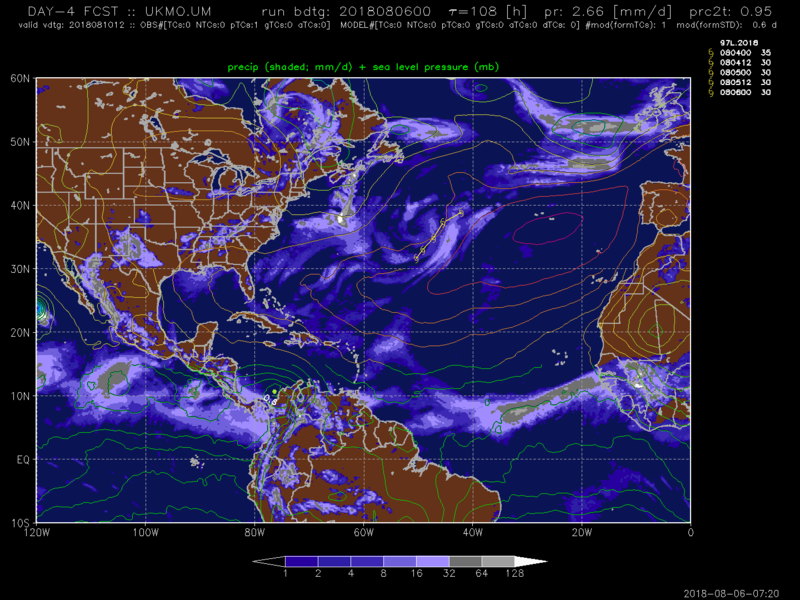 The Atlantic pattern then behaves suspiciously but until then it's not a bad effort. 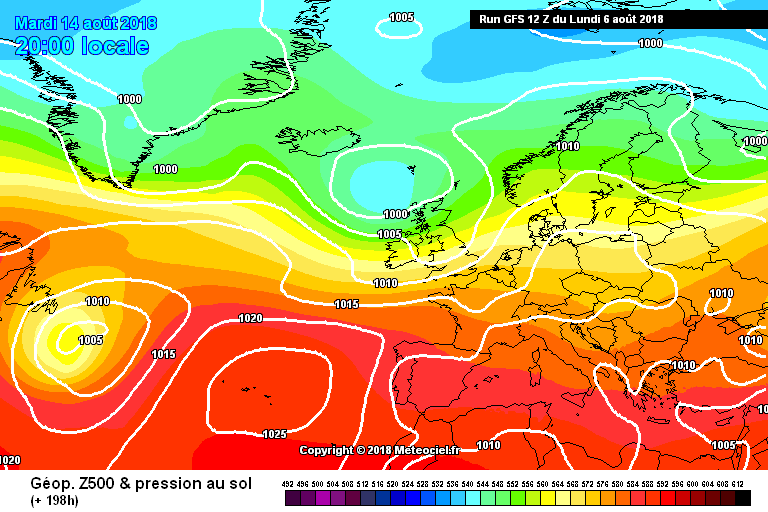 UKMO appears to be the sensible middle ground with the ridge behaviour as of +144. 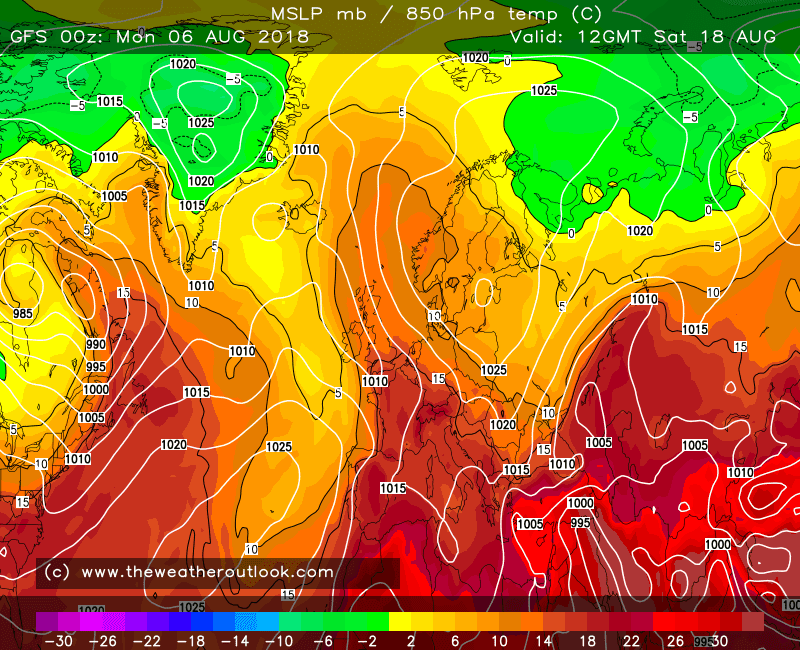 The next Atlantic trough really does have to behave itself to get a good build of HP across the UK though. The deep Scandinavian trough is an unwelcome complication in how it may mess with the orientation of the jet stream across the UK. We had been looking to avoid this until the formation of a second disturbance along the plume periphery was picked up on; it's this feature that happens to be well-timed to interact with an upper trough and become a broad system with quite a low central SLP for the time of year. Thankfully, the lack of Nina forcing (which would favour a stalled trough) means it should be moved far enough away east for high pressure to be back across the UK to some extent or other by a week today. I'm seeing a lot of variability between the models with respect to how soon the next tropical cycle kicks off and hence how fast and strongly HP builds across the UK next week, but the trend is now hard to miss; even the GFS 12z is well on the way there by day 11 (+264 hours), despite the interference of that cut-off low formation. 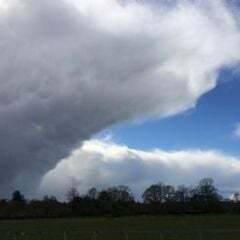 Southern areas may well come to know this month as one of 'three halves' as the funny saying goes. For northern areas, perhaps a more traditional two halves, as the recent fine weather has only intermittently made it that far north, but the signals for 2nd half of August look more promising for those regions, though it may still be difficult to sustain fine weather for more than 4 or 5 days at a time unless the low Arctic sea ice does manage to render the Atlantic unusually ineffective at pushing the ridges aside. 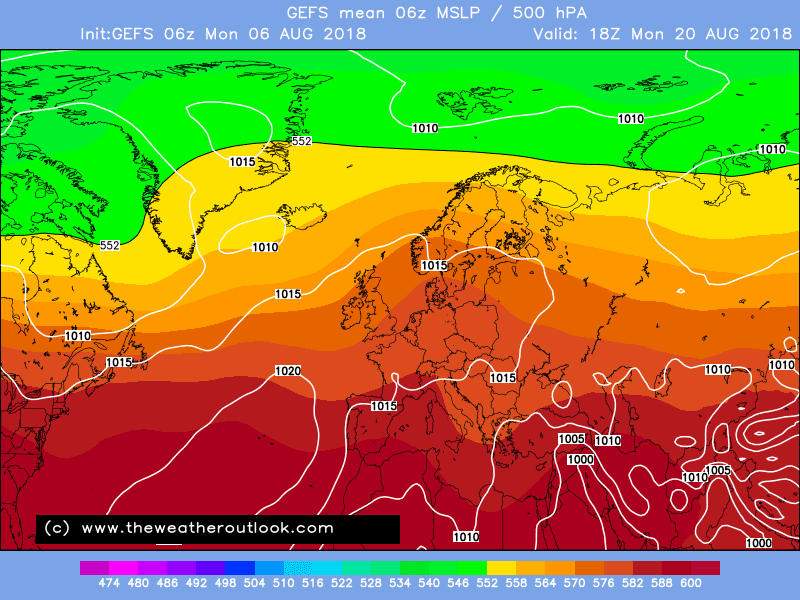 ECM looks a bit off to me from 192-216 hours. Some places in Scotland the pressure drops over 20mb in 24 hours....just doesn’t really look right. It’s close to good before not quite making it.